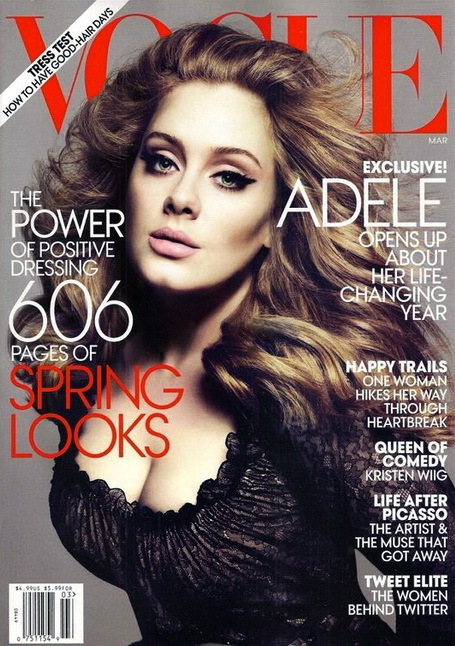 This is an amazing cover of Adele on Vogue March 2012! I love it, so had to post it! I think her music is great and her personality too! I recently bought the DVD + CD Adele live at the Royal Albert Hall and it's great!